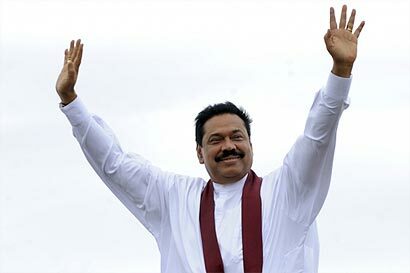 President Mahinda Rajapaksa will leave for Russia today to participate in the St Petersburg International Economic Forum which will be held at St Petersburg from June 16 to 18. Sri Lanka will make a debut appearance at the economic forum which brings together over 5,000 political and business leaders in the world. The members of academia and experts in various fields will discuss and deliberate various issues and problems facing Russia and the world in general at this forum. The theme of this year’s forum will be Emerging Leadership for a New Era. The forum will focus on securing global growth, building Russia’s creative capital and expanding technology horizons. Chinese President Hu Jintao, Spanish Prime Minister Jose Luis Rodriguez Zapatero and Finnish President Tarja Halonen will also be among the guests. President Mahinda Rajapaksa visited Russia in February last year as his first official visit to a foreign country after being sworn in for the second term of office on an invitation extended by his Russian counterpart Dmitri Medevedev. The People’s Friendship University of Russia conferred a honorary doctorate on President Rajapaksa in recognition of his service for the successful eradication of terrorism and establishment of peace in Sri Lanka. It was the first official visit made by a Head of State to Russia after a lapse of 36 years. Former Prime Minister Sirimavo Bandaranaike made official visits to Russia in 1963 and 1974. That’s one of two countries where the Vishwakeerthi TriSinhaladhipathi can visit in the World. There are many lawsuits in the US and Europe; he has refused to accept court summons from a US Court. The only other leader in the World in a similar predicament is the President of Sudan. In such situations, it is not the leader who suffers but the population of the country. We belong to the wider international community which offers infinite potential to growth. But as always, criminals are never welcome in any community. I am sure this blog will drive Nicholas into a frenzy.